Our custom printed LED glow finger light ring use super bright F5 LED lights. 3 times of general led lights. 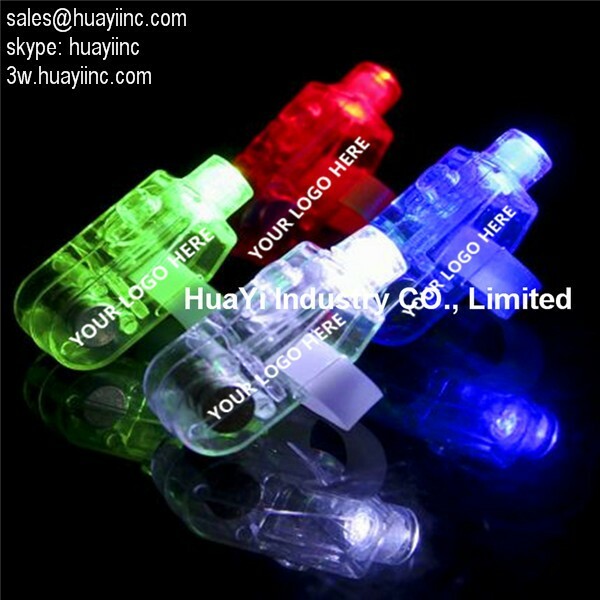 HuaYi custom printed LED glow finger light ring shell will not drop off for its well welding effect. Following pictures from production department corner to show custom printed LED glow finger light ring(be produced by injection)before assembling and packing. Develop new mold OEM for various styles of custom printed LED glow finger light ringwelcome. Adjustable custom printed LED glow finger light ring velcro strap conveniently fasten. Customers can choose the 4 colors they like, if need custom other colors like purple, solid color, MOQ is 5000pcs, these Light Finger/Laser Finger with lowest price can be send in bulk package, individual packing and blister card package. 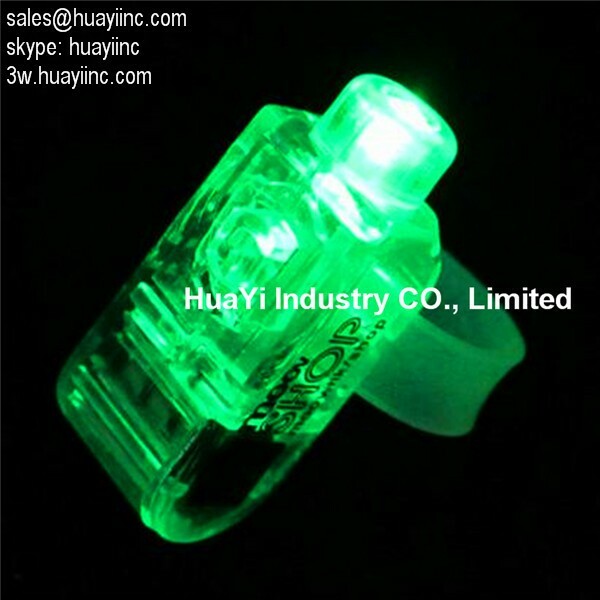 custom printed LED glow finger light ring could be printed with silk and heat transfer print your logos on toy body and full color printing on package. CDR and AI format format files with at least 300dpi needed. Customized shape with new molding: customers send AI, CDR, PSD, EPS. 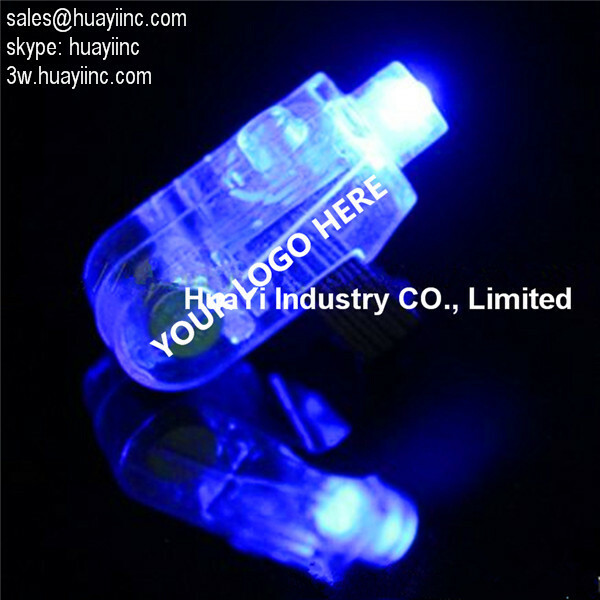 Our custom printed LED glow finger light ring has authorized by CE. Our product has authorized by CE and RoHS test system.